We work alongside a leading underfloor heating design and supply specialist, and every underfloor heating system is designed specifically to suit individual customer’s requirements. Once agreed our qualified engineers will fit the underfloor heating system to the agreed design specification with the minimum disruption. It can also be installed in conjunction with radiators in other rooms, this is often the case when the ground floor is heated by underfloor heating and first floor bedrooms heated by radiators. Each heating zone can be controlled independently too, so you can have different temperatures at varying times to suit your needs. 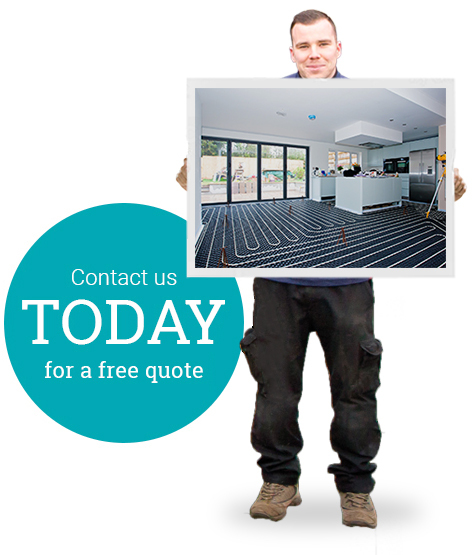 Simply give us a call on 01590 671875 to find out more.